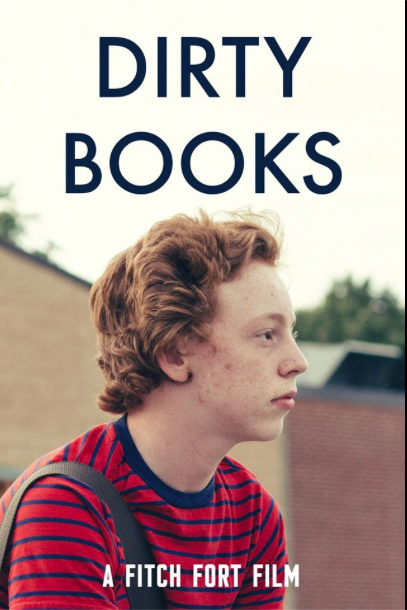 Director and co-writer Zachary Lapierre’s sixteen minute short, “Dirty Books”, released through Fitch Fort Films, tackles the matter of the death of the printed word in an outright, yet sincere, heartfelt manner. It is one that succeeds ravishingly as an illustration of naturalism, humor and insight. The composition is consistently entertaining yet, meditative. Moreover, Lapierre finds a way to earn our emotions genuinely, without ever manipulating them. He finds an incredible balance between a tone that is pleasant, down to earth and upbeat, perfect for its more light-hearted instances, and an underlying somberness that makes its argument all the more dire. This creates the perfect stage for the wonderful, and relatable, message held in its central theme. Such is also reflected, in many ways and attitudes, in the title itself. This massive cinematic achievement speaks to its audience without ever appearing preachy or as if it is negating storytelling to do so. What also works in its favor is that the manner in which the chronicle unfolds is appropriately breezy and direct. It mirrors various teenage angst classics from mid-1980, namely The Breakfast Club and Ferris Bueller’s Day Off, but feels distinctly like its own entity. Furthermore, it triumphantly accomplishes this without giving into its wisely planted gags and comic undertones to the point that it takes away from the dramatic forefront. Because of this it never negates its sharp focus on serious characters and characterization, as well as the gravity of the subject matter. Lapierre walks a delicate line between these genres effortlessly. This is done so deftly and with such care that its gentle respect for both areas it categorizes itself within is worthy of envy. It also, in turn, makes the composition all the more varied and dimensional. The narrative oversees David Burroughs (Noah Bailey) creating fiction and selling it as truth. This dishonesty revolves around pornographic pictures being placed by an enigmatic individual in an unspecified book in the school library. It is done to save his newspaper, for which he is both publisher and editor-in-chief, from being turned into an online blog by the end of the year. Given that the newsprint’s most intriguing tales in the past few weeks have been “retiring faculty and changes to the fitness curriculum”, as we learn early on, he comes to believe that this deception will be the spark which catches the fiery interests of all of his peers. In turn, Burroughs thinks that this will appeal to classmates and will, alternately, make Dr. Bradley (Timothy J. Cox) change his mind about the upcoming transition from page to screen. What Burroughs doesn’t expect is how this fabrication will modify his own life as well as those around him. This is when this pleasing production turns to another timely topic, which it addresses with the same quiet potency as its prime focus. This is the extent one will go for fame, notoriety and to be remembered. These concerns undoubtedly summon great emotion. The piece ends on a staggering exclamatory note that recalls these elements magnificently. As a cinephile the high-caliber performances, especially Timothy J. Cox’s phenomenal and sophisticated turn as Dr. Bradley, helped make this an immediately absorbing watch. This is heightened by Noah Bailey’s alternately vulnerable, relatable and quietly empowering turn as the rebellious protagonist. These aspects, especially the palpable and combative chemistry between the two in the attention-garnering opening segment, where Burroughs is informed that he is “being shut down”, drew me in immediately. It made the on-screen personalities all the more rich, multi-layered, likable and alive. Ansley Berg as the sports writer, Charlotte, and Isaiah Lapierre as Owens are superb. The rest of the cast fares just as spectacularly. What also enticed me in the aforementioned manner is that Lapierre exhibits consistently confident, and incredible, direction. The smart screenplay he has crafted with Ian Everhart, who also provides the appropriately fantastic and gratifyingly tone-setting cinematography, as well as the smooth pace and the seamless editing by Michael Kutsch made the endeavor all the more captivating. This is further aided by Megan Provencial’s vibrant graphic design. Lapierre, who also contributed the delightful sound on display, has issued music which catches the essence of the account just as phenomenally as these aforementioned attributes. These stellar characteristics come together beautifully. They assist in the creation of a labor of love that is both urgent and endearing, gorgeous in what is on the surface as well as beneath it. But, the narrative, especially the fight David wages against the powers that be was riveting, enabling even, to me as a writer. It is an eternal issue that is presented here in a fresh, vigorous, innovative way. This brilliant approach made it easy for me to cheer for David as he combats authority, while admiring the care put into all technical aspects of the composition. The result is overwhelmingly effective. Lapierre has undoubtedly crafted a timeless masterpiece. In the space of a brief runtime, Lapierre and his moviemaking crew have concocted a terrific, charming and pensive exertion. It is one that will speak to audiences of all ages as it showcases the price one must often pay for both their treacheries and their passions. This is a lesson, a message that we all must be reminded of every now and again. “Dirty Books” does this, and much more, marvelously well. You can check out Fitch Fort Films’ Facebook page here. The I.M.D.B. page for “Dirty Books” can be seen here.